This month, I’m so excited to announce, I will be headed to Walt Disney World for an epic adventure to the Monkey Kingdom! The Disneynature film, in theaters April 17th, is narrated by Tina Fey (SNL, 30 Rock) and follows the life of Maya, a clever and resourceful monkey, and her son Kip. When their longtime home at Castle Rock is taken over by powerful neighboring monkeys, Maya and her family retreats. She must use her street smarts and ingenuity to uncover untapped resources amidst strange new creatures and unsettling surroundings. Ultimately, they will all have to work together to reclaim Castle Rock, where Maya can hopefully realize her dreams for her son’s future. My trip to Orlando next week will include a screening of the film Monkey Kingdom before it opens in theaters. I’m hoping to also encourage everyone to see Monkey Kingdom during its opening weekend as during that time, a special donation will be made to protect monkeys and other endangered species. 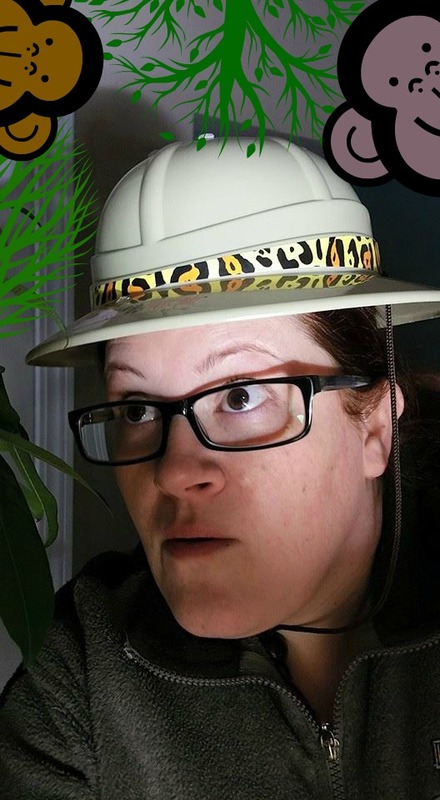 While I’m in Orlando, I’ll have my hiking boots and pith hat ready because I’ll also take part in the Wild Africa Trek, a privately guided VIP expedition offering close encounters with exotic African wildlife in their native habitat. 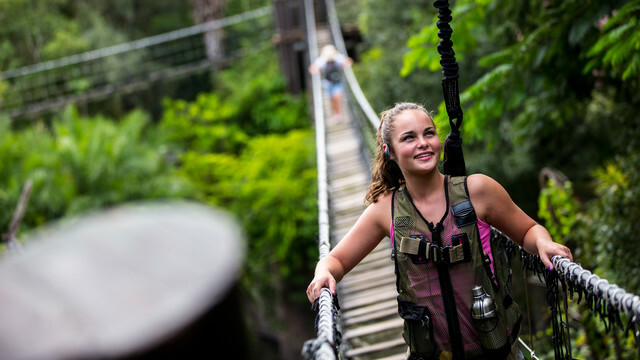 This 3-hour tour – which is likely to end better than Gilligan’s – is a tour of the safari at Disney’s Animal Kingdom Park where we’ll roam with wild animals, indulge in African-inspired treats (please, don’t let there be chocolate covered bugs!) and gain insider knowledge of native African animals. Of course, we asked the sweet and friendly crocs and lions if we could camp in the wilderness – they said no. Instead, we’re forced to enjoy the comforts of home-away-from home, staying in the posh All Star Vacation Homes resort homes in Orlando. Pools, spas, arcade and theater rooms, and themed suites all await us in Orlando. The best part is, I get to room with a few of my favorite bloggers so it’s like a week-long slumber party! 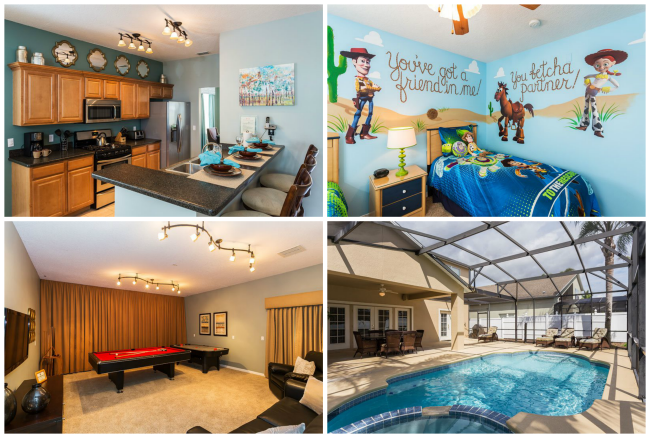 It’s also ideal for family and friends visiting the Orlando area and luckily, All Star Vacation Homes has multiple other locations, as well. We’ll also get the opportunity to interview Dr. M. Sanjayan, Disneynature Ambassador! Dr. M. Sanjayan is an American conservation scientist, a writer and Emmy-nominated TV news contributor and has worked with National Geographic. He’s also the host of PBS’s Earth: A New Wild. Thanks to Disney, there will be numerous other activities that we’ll be a part of while we’re there, so make sure to follow me on Twitter @AsMomSeesIt and follow the hashtags #MonkeyKingdomEvent, #DisneySide and #AllStarVacationHomes for exclusive photos, interviews, and behind-the-scenes events!